A Day Late and A Dollar Short: **FREE** 2-Pack Vibe Juicys Comfort Earbud Stereo Headphones - Tanga! **FREE** 2-Pack Vibe Juicys Comfort Earbud Stereo Headphones - Tanga! 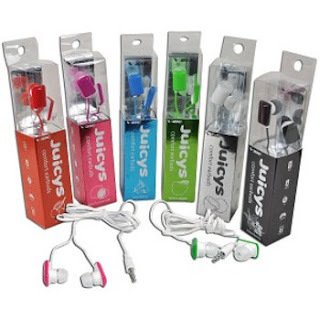 Visit Tanga.com to get a **FREE** two-pack of Juickys stereo earbud headphones! *Only cost is $4.99 shipping (still not bad at $2.50/set). This would make great Easter basket stuffers!